"Y2B Fit is an empowering community that will encourage you to reach your fitness goals." At Y2B Fit, your success is our top priority. We offer a comprehensive schedule of group classes and private training sessions--ranging from yoga to barre and HIIT. Can't find a class time that fits your schedule? We've still got you covered through Y2B Fit tv. Our virtual studio offers a collection of 30-minute yoga, barre, and fitness videos that can be completed on your time from anywhere when it fits your schedule. Find Your Fit at Y2B Fit! From Yoga 2 Barre, we’ll help you find your Fit. At Y2B Fit, we believe in empowering each individual on the path to mind + body wellness. We’re a fitness community that focuses on welcoming and encouraging each person along their fitness & journey. We offer yoga, barre, and fitness classes for beginners through advanced levels. 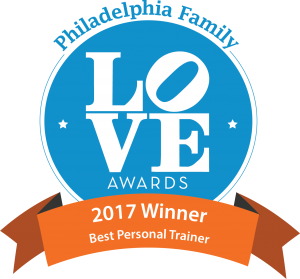 Crystal Widmann, Founder of Y2B Fit, received the 2016 + 2017 Philadelphia Family Magazine Love Award for Best Personal Trainer—read more about it here.